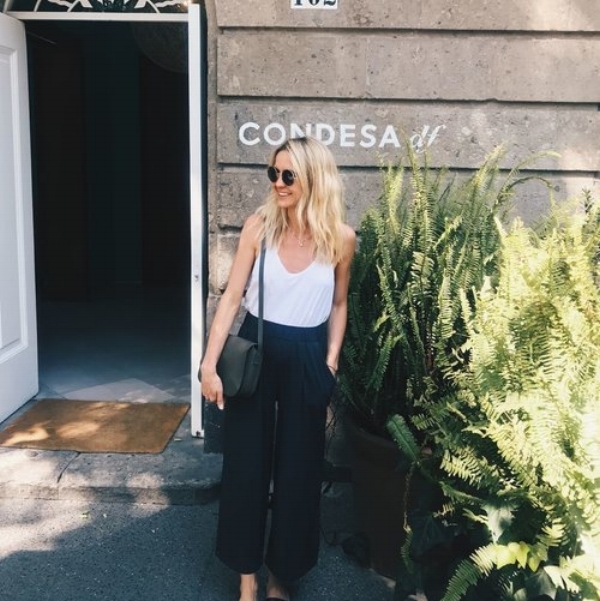 Standing at 5'2", Nina Faulhaber is the co-founder of ADAY, a clothing line that was named as one of the most innovative in the world by Fast Company in 2018. Dedicated to creating minimal, versatile, sustainable, and comfortable pieces, ADAY pushes for a move away from the clutter of fast fashion towards quality pieces that last, encouraging consumers to buy less. In addition to quality, their clothing is so versatile that you can wear them to the fitness studio and the office. Nina grew up in Germany and competed in gymnastics on the state level, and her childhood wardrobe was made up of comfortable, well-made essentials that reflected her athlete lifestyle. As she got older, she moved away from the world of gymnastics and into the world of finance, first working at Goldman Sachs, and then at Index Ventures where she worked with entrepreneurs. She longed for her childhood wardrobe which was simple, functional, and minimal, but designed for adults. This sparked the idea for ADAY, and Nina and co-founder Meg created the product that they themselves felt they needed. Having raised $3.1 million in venture funding and seeing great success so far, Nina says they’re just getting started. There are still many essential pieces they’re hoping to recreate and many more women to reach. With influential fashion icons like Lupita Nyong’o and Anne V wearing their pieces, we’re sure it won’t be long before many other fashionable women catch on.